One of Europe’s largest and longest running reseller companies, Travel & Leisure Group timeshare brokers have been selling Anfi Timeshare since 1992 matching buyers with their dream weeks and sellers with the best prices possible. When buying an Anfi timeshare through us you buy privately from existing owners. Save around 50% on the developer’s list price. Cut out the developers marketing costs which are at least 40% of their total sales price. If you want to sell an Anfi timeshare, call us on 0800 071 1372 for a FREE valuation. Alternatively if you want to know how to sell your timeshare then complete our form, it only takes a minute and we will call you back free and with no obligation. For information on any Anfi timeshare properties please call FREE on 0800 071 4674 or if you want to know How to Buy a Timeshare complete our form to receive further details on timeshare and our company. One of Europe’s leading vacation membership companies Anfi Group provides luxury accommodation and real estate in the leisure industry. 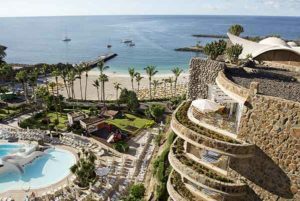 Anfi Groups principal resorts Anfi Del Mar and Anfi Tauro in Gran Canaria; famously known for its mild weather and a total of five hotels on the island. Anfi Group was founded in 1988 by Norwegian entrepreneur Bjorn Lyng. It is now owned by Anfi International BV and Santana Cazorla Group. A member of RDO (Resort Development Organization). 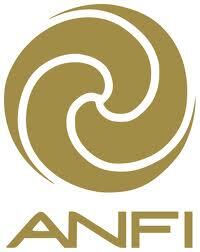 Anfi International was founded in 1992, registered in Arguineguin and is composed four holiday clubs. Anfi Beach Club (completed in 1993). Club Puerto Anfi (1996). Club Monte Anfi (1999). Gran Anfi (2003). Anfi Tauro (2008). All of Anfi Groups luxury resorts offer a range of shops, bars, restaurants and a range of leisure activities. Club Puerto Anfi is well known for its heart shaped island. A popular wedding location, Anfi Tauro offers 9 hole and 18 hole golf courses. 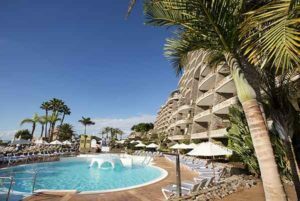 Found in Las Palmas, South West Gran Canaria; Anfi Del Mar has been a peaceful sanctuary amongst timeshare owners and their families for many years. A great place to unwind and make most of the islands year round sunshine and golden beaches. Timeshare owners and guests alike have even been known to use Anfi Beach Club’s infamous heart shaped island. Celebrating their wedding day and enjoying drinks at Maroa Club de Mar’s cocktail bar. Anfi Del Mar is also well known for its close proximity to the tranquil marina. Guests can enjoy the local seafood or a range of water sports; not to mention Anfi Del Mar’s range of onsite activities. Numerous pools, restaurants, spacious balconies and fabulous gardens. Anyone looking to make the most of the marina may enjoy a stay at Club Puerto Anfi that overlooks the heart shaped island. The marina with a nautical theme reflecting this and large with stunning views over the Atlantic Ocean. The remaining two clubs founding at five star Anfi Del Mar consist of Club Monte Anfi offering guests amazing views of the bay and surrounding areas found at the resort due to elevated position and Club Gran Anfi offering spacious five star accommodation with in-room Jacuzzi baths and even memory foam pillows. Completed in 1993 Anfi Beach Club can be found in the popular Anfi Del Mar resort in a mature secluded garden consisting of a mix of palm trees, cacti, waterfalls, exotic plants and flowers with stunning mountain views. This luxury timeshare resort boasts beautiful outdoor areas, access to a white sand beach and a distinctly tropical feel. Leaving you feeling truly spoilt whilst making the most of the onsite bars, restaurants and leisure facilities. A true favourite amongst families due to the sites excellent children’s entertainment. Click Anfi Beach Club for available Resales and Rentals. 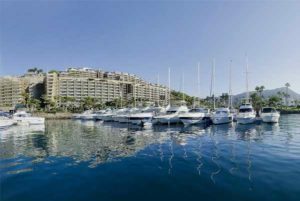 Located on the south western coast of Gran Canaria with views overlooking Anfi’s heart shaped island, 80-berth marina and crystal clear ocean. Club Puerto Anfi Timeshare sports a nautical theme reflecting the nearby marina. The luxury resort offers many ways to enjoy yourself while on holiday. There is a wide range of bars and restaurants in the main Anfi Plaza. The Maroa Club de Mar beach club located in the harbour. The resort also offers a wide range of leisure facilities and activities for the whole family. There is also much on offer in the nearby marina, such as dolphin spotting cruises and fresh fish. Which are also on offer in the restaurants of the nearby village of Arguineguin. Click Club Puerto Anfi for available Resales and Rentals. Part of Anfi Groups Anfi Del Mar resorts near Arguineguin, Club Monte Anfi shares the best this five star resort has to offer such as the great choice of restaurants on offer and wide range of leisure facilities including tennis, mini golf, diving and games room. There are four private swimming overlooked by flower framed balconies. The resorts idyllic location offers wonderful views of the bay and resort. Its elevated positioning also gives Club Monte Anfi Timeshare a quiet and peaceful atmosphere. This makes it an an ideal getaway for families and couples alike. Click Club Monte Anfi for available Resales and Rentals. 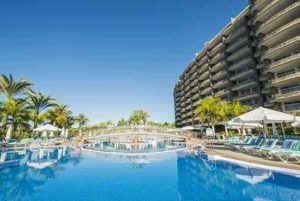 Completed in 2003 this five star resort boasts super-sized penthouses, curved terraces letting you make the most of the view to the sea, club gardens and Mount Teide in neighbouring Tenerife. The spacious, modern accommodation at this luxury resort offers memory foam pillows and in room Jacuzzi. The rest of the resort also has plenty on offer; with a private beach, golf club, tennis court and many shops to choose from. Click Club Gran Anfi for available Resales and Rentals. Located in the Tauro Valley offering year round sunshine and mountainous surroundings. The championship style golf course gently rolls down to the sandy beaches and crystal clear Atlantic Ocean. This resort offers some of the best views in Gran Canaria. 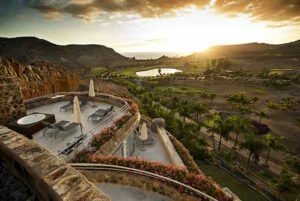 This luxury resort is a golfers paradise boasting a 9 hole and 18 hole golf course maintained to PGA standard; whilst trying to meet all their holiday needs. Anfi Tauro offers a vibrant shore side shopping centre. There are white sand beaches, extensive range of culinary options, yacht club and a wide range of leisure facilities. Click Anfi Tauro for available Resales and Rentals.